On Wednesday 27 February and 13 March, Year 10 students from London NCOP-affiliated Bower Park Academy, Drapers’ Academy, Emerson Park Academy, Marshalls Park Academy and All Saints Catholic School took part in an insightful Higher Education Experience Day at City, University of London led by widening participation staff and a number of student ambassadors. The day commenced with an icebreaker where students were mixed into different groups, giving learners the opportunity to interact with people outside of their school. 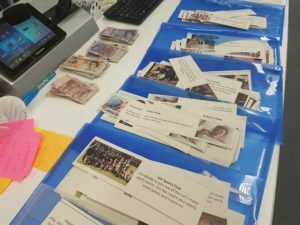 In groups, students were given 45 minutes to unlock five padlocks by following a series of clues using maps, anagrams, arrows, and their knowledge of UCAS. During the activity, students used different skills such as teamwork, problem solving, research, and communication. The day then continued with a ‘Why go to University’ presentation, discussing the benefits of University and explaining the process of student finance. This part of the day gave students an opportunity to ask anything regarding accessing Higher Education and gave students a further insight into the variety of courses that they can study at a University such as City. Following the presentation, students were guided around campus by City’s student ambassadors, sharing their own personal experiences of university life. Students had the opportunity to see the University library, student union, clinical skills labs, lecture theatres and the optometry department. This was particularly exciting for the aspiring medics in the group. The last activity of the day was called ‘The Game of Life’ and in this activity students had to collectively decide on how to manage their finances within a university setting whilst simultaneously keeping in mind how each of their decisions impacts their wellbeing, sociability, energy levels, skills and money. 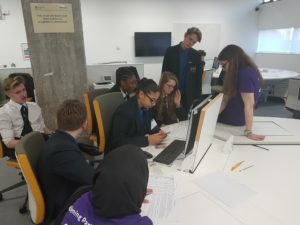 Learners really enjoyed this activity as it not only showed students how different choices can alter their university experience but also helped them make informed decisions regarding their finances.